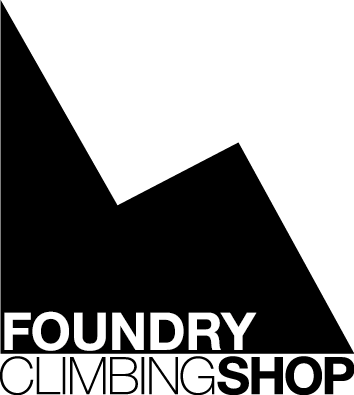 I am new to bouldering & I'm looking to buy a bouldering mat. If some of you could tell me what I should be buying & the best place to buy it from ! They come in two basic designs. Folding mats have two halves which fold around a hinge and 'taco style' mats which offer a single flat surface without a hinge, but which you fold when carrying. This type should be stored flat, so you'll need more space to keep them when not in use. I keep my (folding) DMM Highball in my car boot, I couldn't keep a taco style mat there as it would have to be folded which will weaken the foam around the fold. They need to be robust, most are. The bit inside is the most important bit of all: foam. This will be a thin sheet of hard foam on top to displace your impact when you land and underneath it thicker softer foam to cushion the fall. Some manufacturers (eg DMM, The Climbing Factory) also have a third, thin sheet of hard foam on the bottom for further protection, especially from rocky surfaces. The quality of the foam is everything. You can unzip the side of the mat to examine this. You need to ask around for views on this, but you generally get what you pay for. Foam softens with use, so a mat which feels nice and soft in the shop is probably not going to offer much long term protection. Hard will become softer so I'd look for a mat with a firm feel. There are some newer mats with more complicated technology which may feel soft in the shop but work by air resisting displacement in the mat so effectively respond to the force of the fall ie harder fall, tougher response from the mat - I believe. You'll know these by their price: significantly over the £100-150 for a standard mat. My advice would be to go and look at/jump on a few in a shop. I'd probably get a basic-not-too-big one to start with and with experience later choose something else if you like. You could probably get a quality modest sized pad for around £100+. More budget options exist, but won't last as long before you need to replace them, I'd avoid them if you can afford to. If you've got regular partners you could always consider buying a shared mat. Shop websites eg V12, Rock and Run, Bananafingers and many others will give you more info. Well regarded brands include Snap, Moon, DMM, Wild Country, Ocun and many more. Lots of people like Metolius- personally I don't rate them which just goes to show you need to make your own mind up by looking for yourself. Thanks a lot mate most helpful, I have been looking at a DMM highball online & I see that you use one so I think I'm going have to go check one out. The Highball is a pretty good choice, decent size and it'll last well.